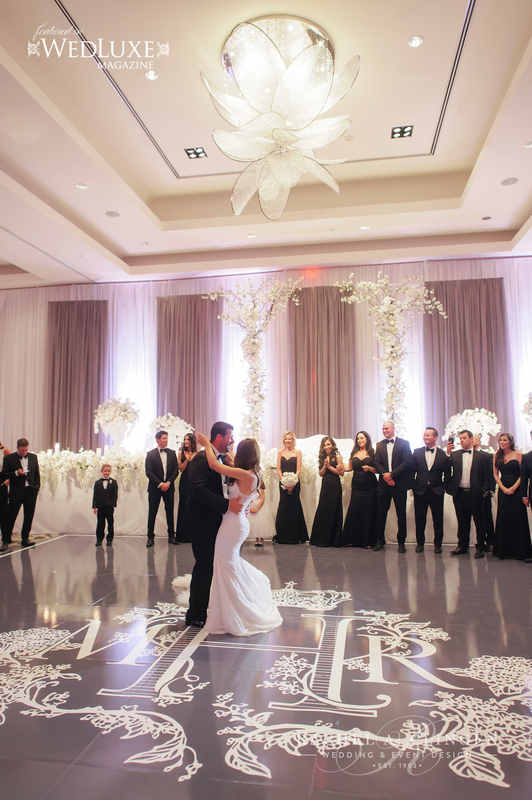 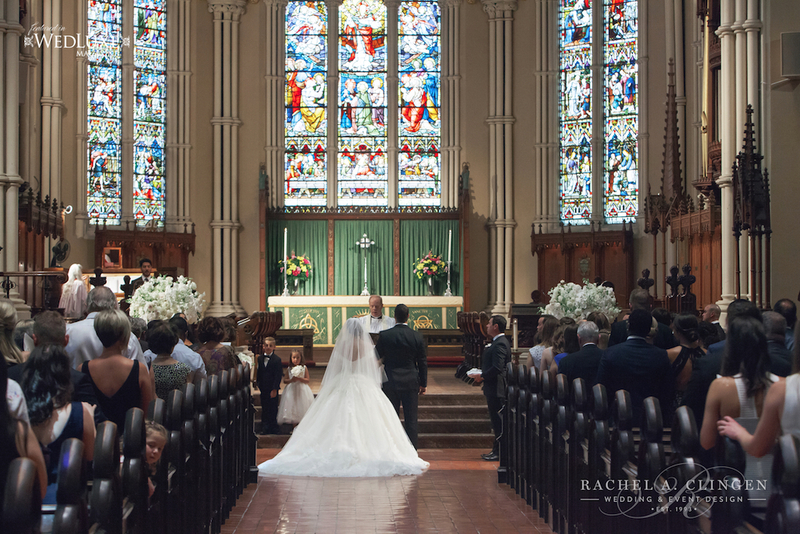 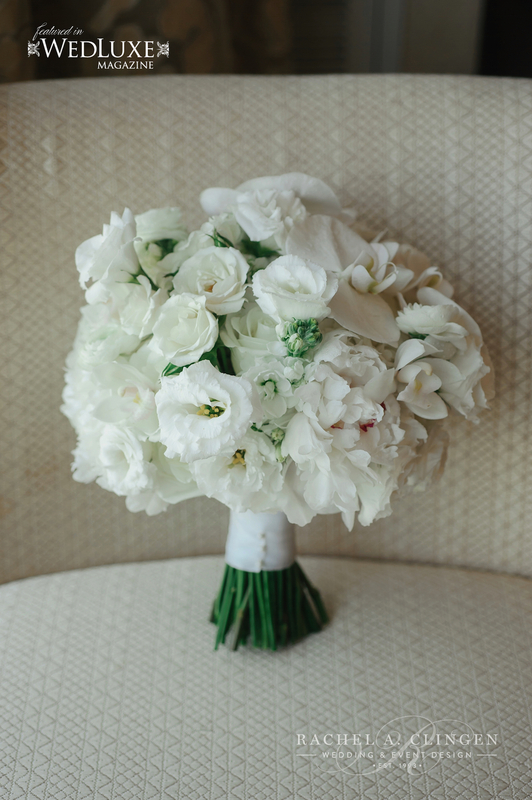 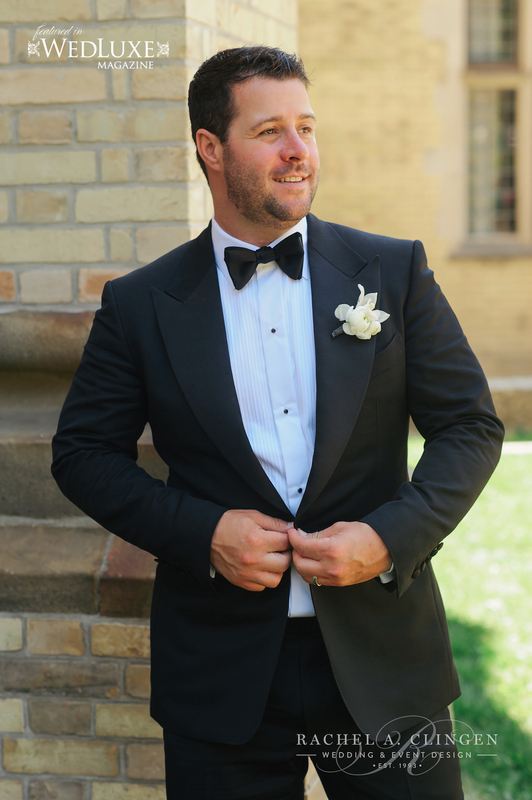 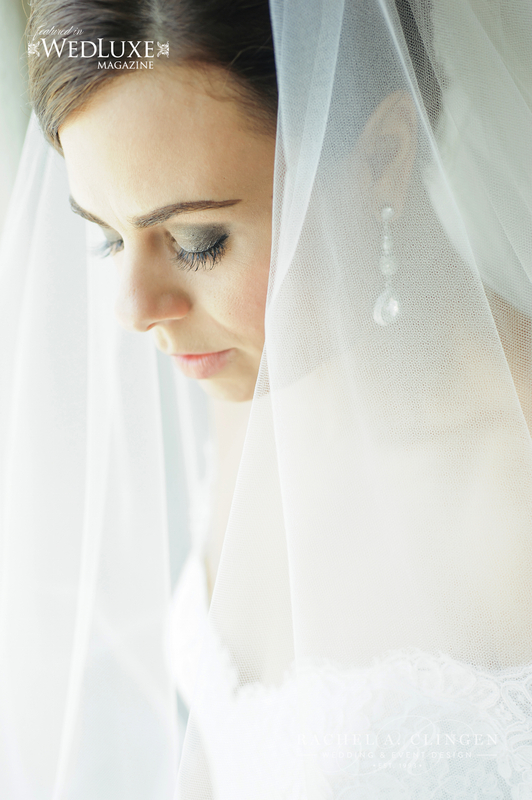 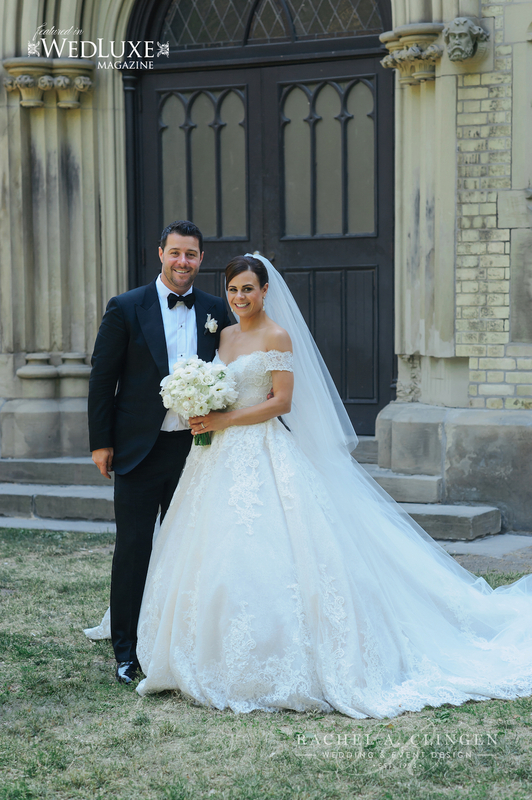 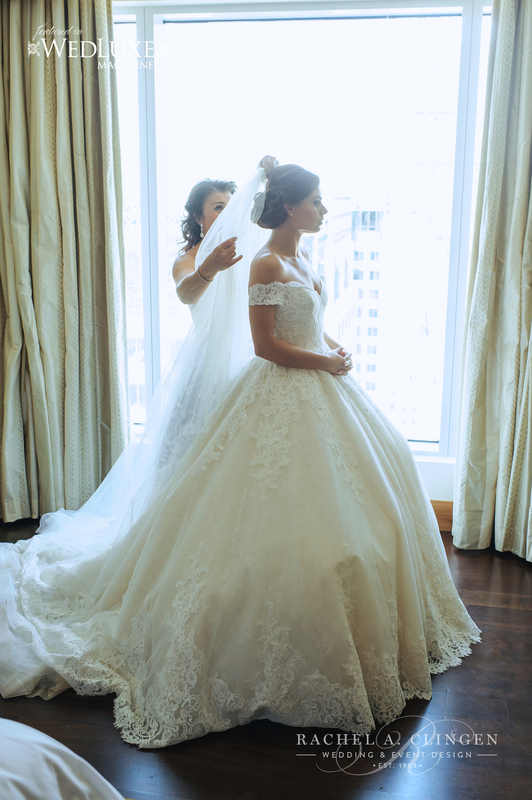 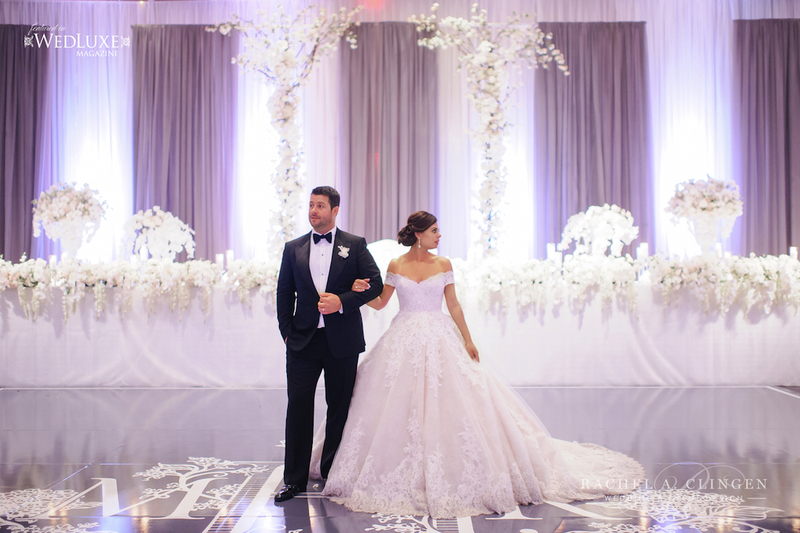 Marisa and Rob’s stunning wedding at the Ritz Carlton Toronto, was truly a feast for the eyes with all white floral and decor that still has us swooning. 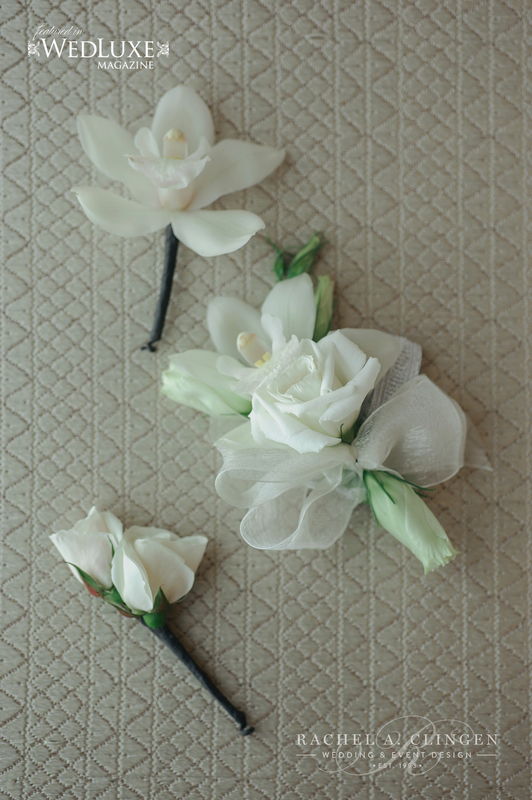 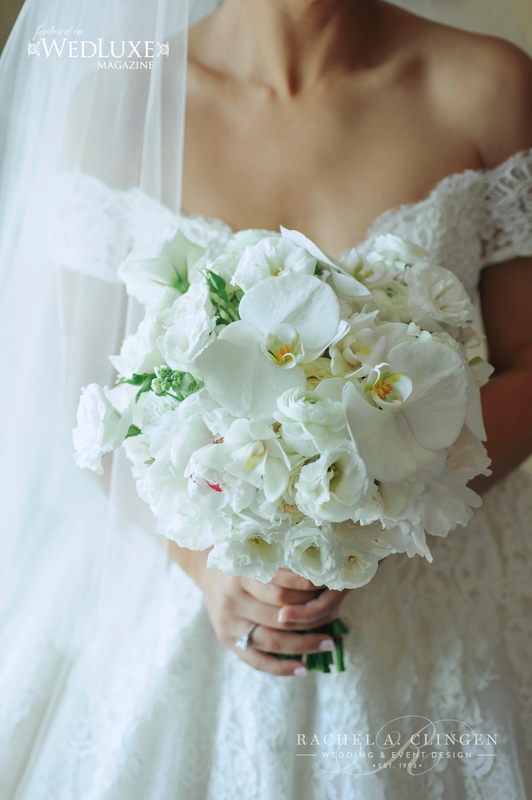 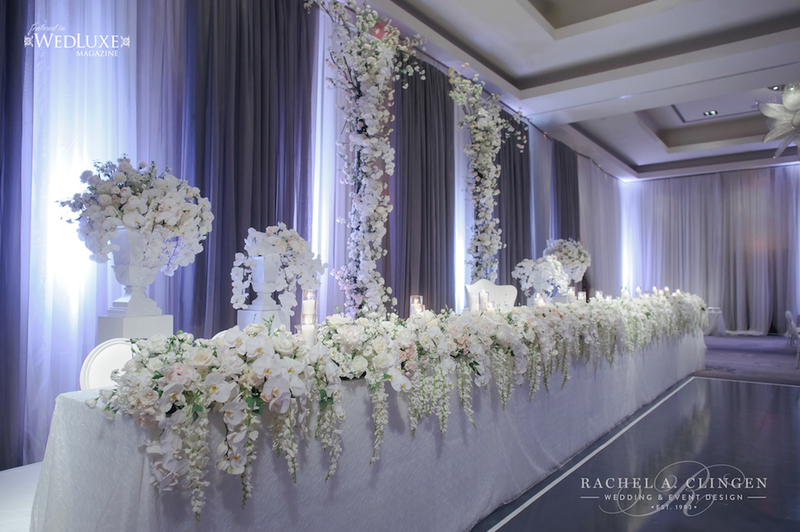 There was certainly no shortage of flowers, with white phalaenopsis orchids, roses and wisteria every where the eye could see. 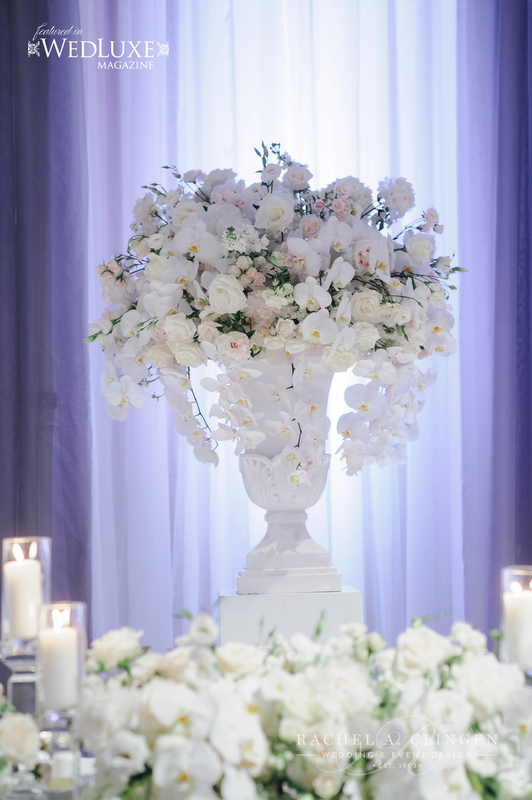 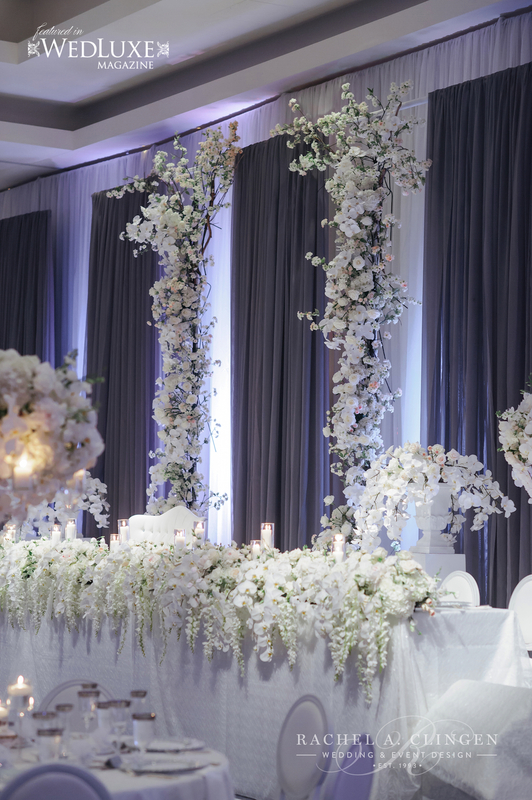 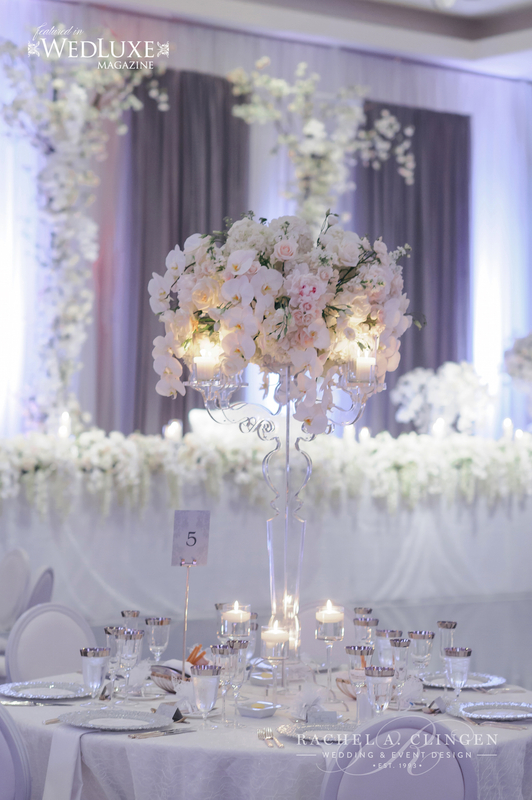 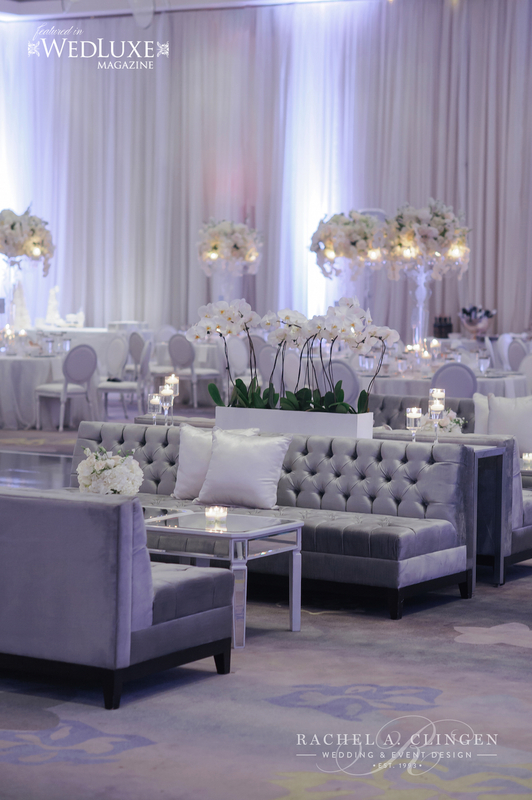 Marisa loved the luxurious look of an all white wedding so we transformed the ballroom at the Ritz Carlton Toronto, with layers of whites. 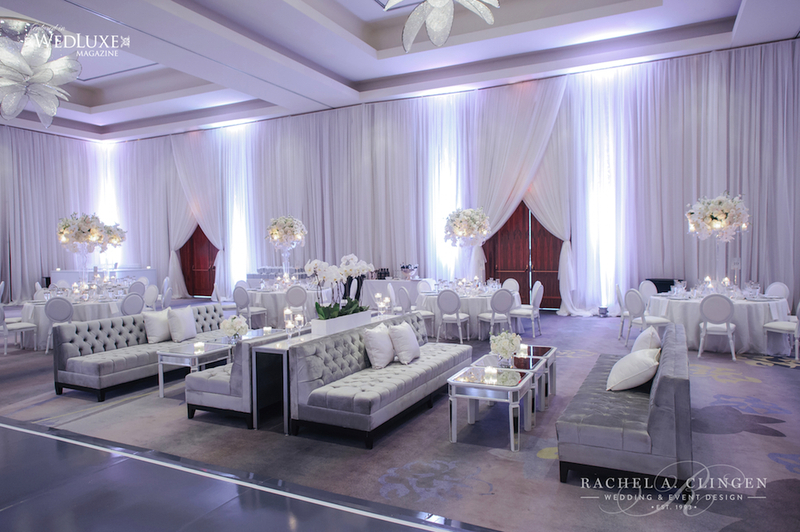 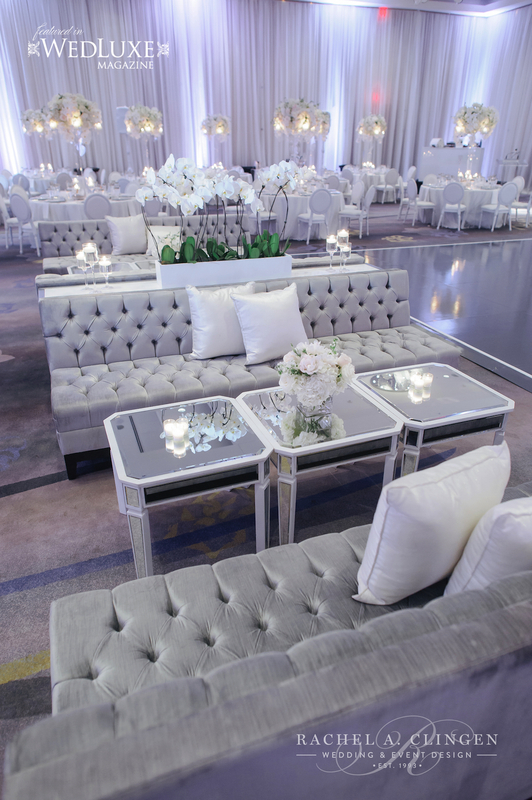 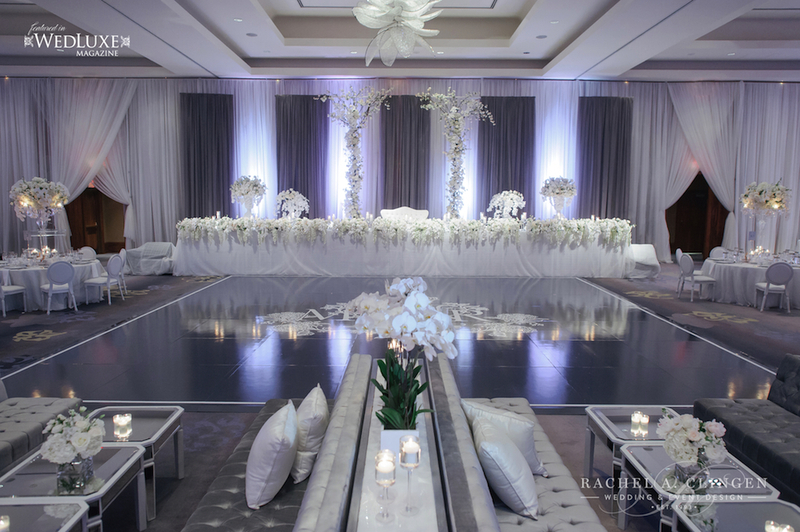 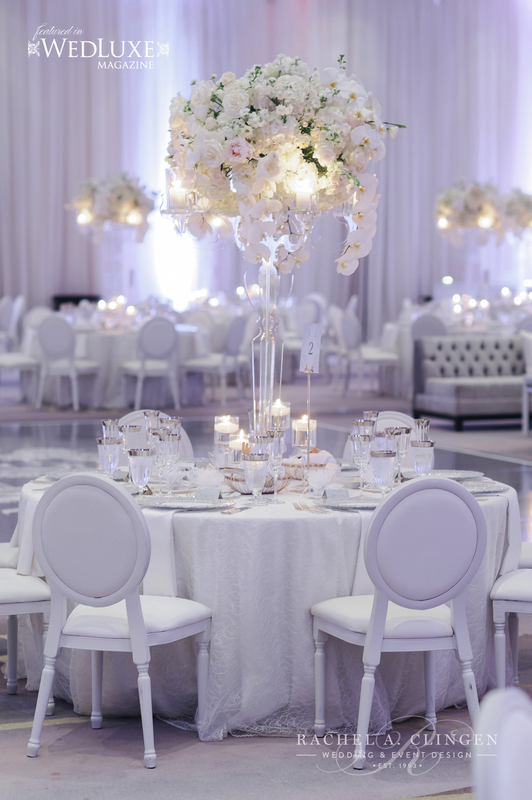 The white chairs and linens as well as the flowers were accented with accents of grey and silver for visual interest. 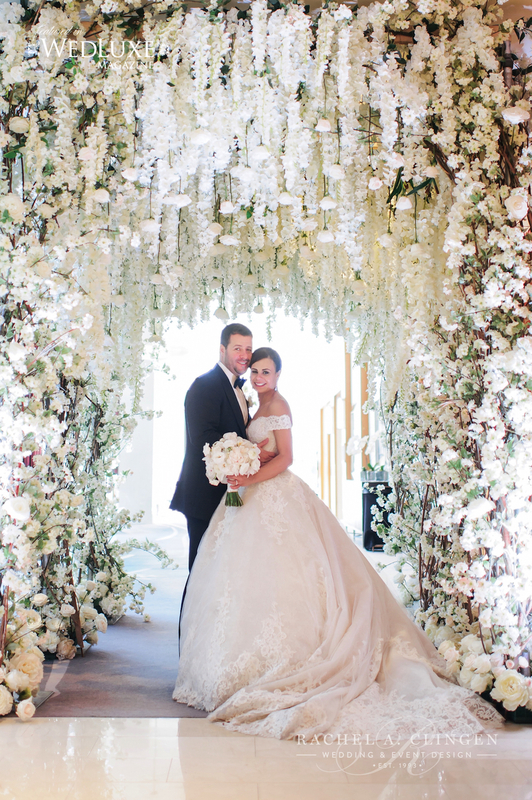 Guests were greeted off the elevator at the Ritz with our impressive wisteria and rose tunnel which wisked them into the cocktail area. 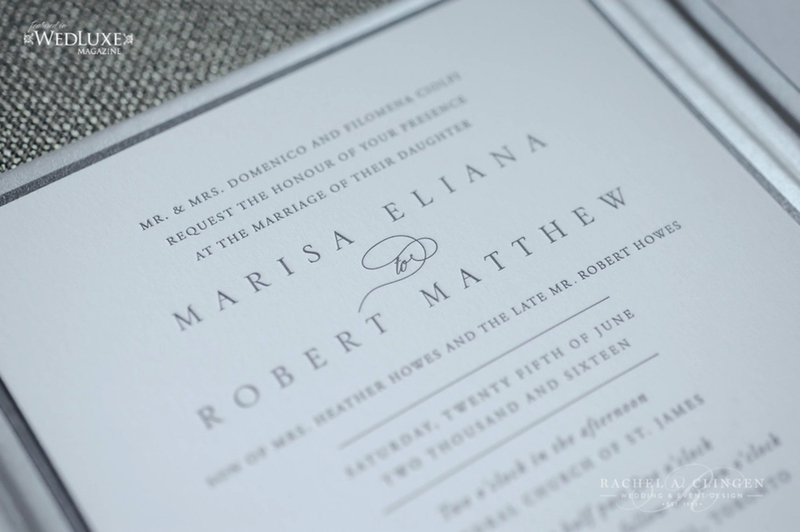 David and I were touched by Marisa and Rob’s kindness. 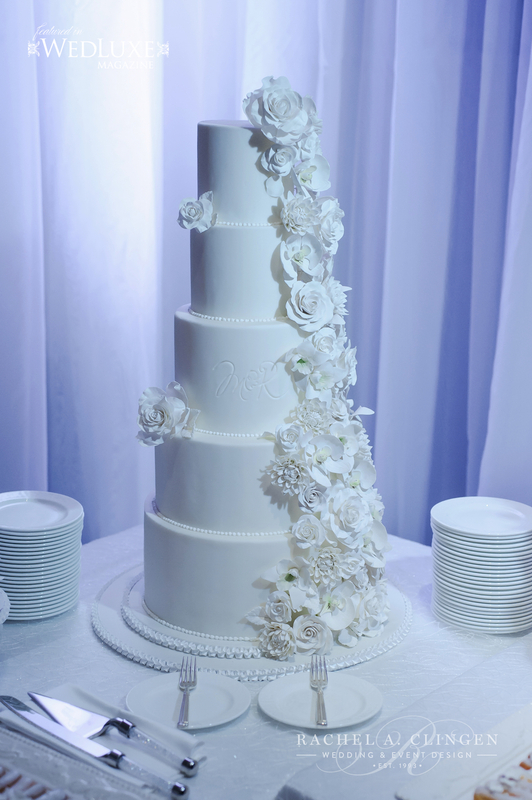 They graciously extended to us, an invitation to the wedding, so we were able to enjoy first hand the evening of festivities and the fruit of our labour. 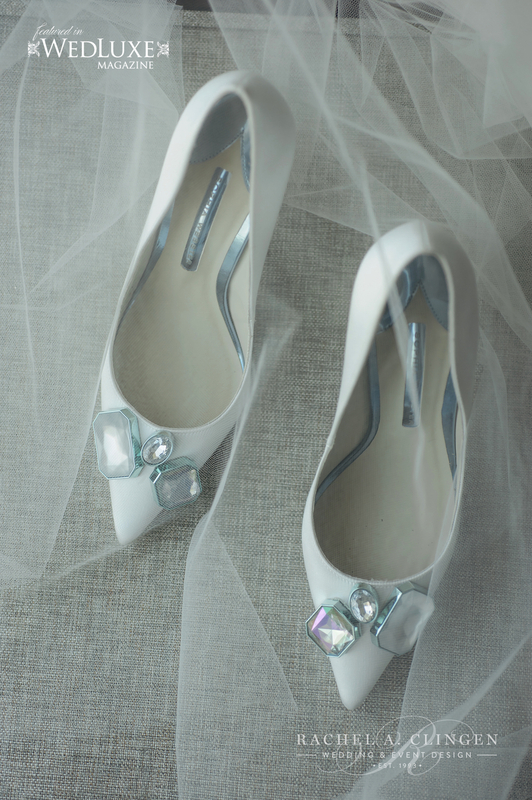 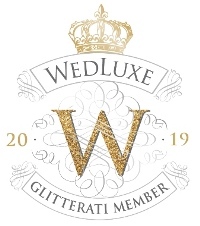 It was a beautiful day all around, so we were thrilled to see this wedding featured in Wedluxe magazine and it was such a pleasure to work with the lovely wedding planner Shealyn Angus and the amazing photographer Alex from Life Images.